Val Laird Designs - Journey of a Stitcher: Sidetracked! I was looking for a small piece of cream silk I had put aside for a project. Silk is such a wonderful fabric and though it is difficult to work with, the results are always so beautiful. I was picturing this piece of silk with some gorgeous red grub roses on it - total elegance! I didn't consult my index for my little bit of silk, because I had a fair idea of where it should be - in the crate that has orphan blocks, unused stitcheries, fabric set aside for special projects, and of course my PASSES (projects at a stand still). Before I had a chance to look for my silk, a bag of left-over strips from a jelly roll jumped out at me, demanding my attention. Needless to say, I had a lot of fun whipping up these quick and easy projects and using such pretty fabric. Now there are just a few tiny bits left, just right to go into the scrap boxes. And what am I going to do with these sidetrack projects? ﻿All will be revealed soon! And the cream silk fabric... I didn't get around to looking for it, but when I opened a drawer to pull out something else, there was the silk fabric all folded neatly waiting to be used! Gorgeous! Who wouldn't be sidetracked by such loveliness! What pretty little goodies you have made.... glad you found the silk!! Love your little sidetracked projects! 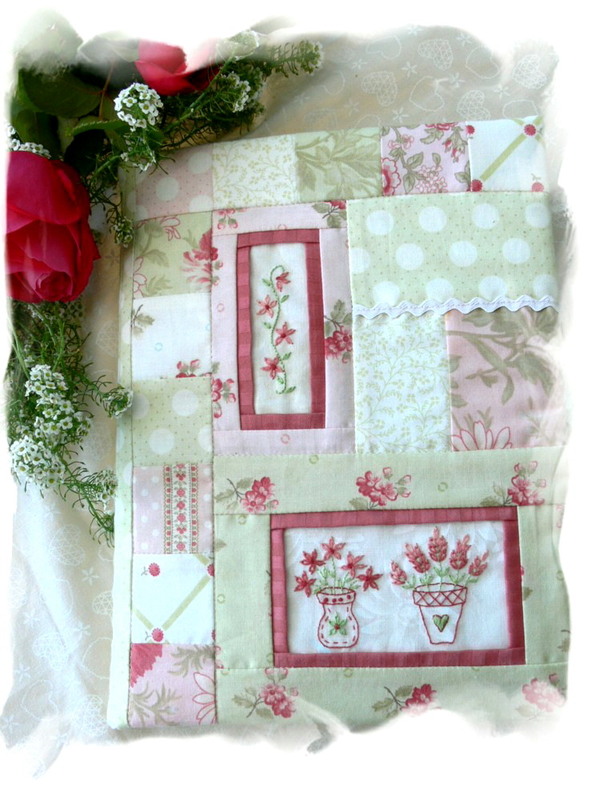 Sometimes the neatest items are made from scraps from quilt projects! Thanks for sharing. Wow..I should be so sidetracked! I love your little projects. I am trying not to get side tracked because I have so many things going on but I know that side-tracked projects are often some of the best. Thanks for sharing yours with us. What a cute sidetracked! !What ever you do with them will be lovely. Wonderful stitcheries Val. I need to make a thread catcher too...can you tell me where to buy the pattern you used...it looks just so beautiful.